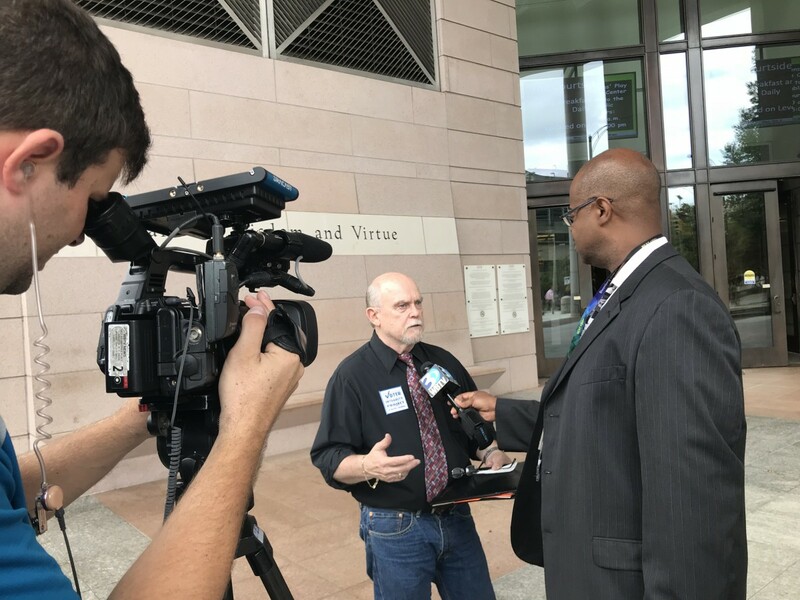 Oct 9, 2017 — Charlotte, NC — Today, the Voter Integrity Project called on the Trump Administration to withdraw one of their nominations for US Attorney as the group cited NCGS § 163A-1446 in petitioning the Mecklenburg County Superior Court to appoint a special prosecutor for two confirmed cases of vote fraud that District Attorney, Andrew Murray, has refused to prosecute. 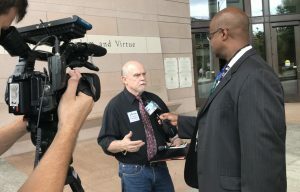 WBTVs Dedrick Russell interviews VIPs Bob Diamond about his petition to appoint a Special Prosecutor in Mecklenburg County, because their DA refuses to prosecute confirmed cases of interstate double voting. As a Class I felony, stealing elections in North Carolina falls below the Class H felony of stealing pine straw (as VIP explained, on April 1, 2016). The maximum penalty for a first-time vote fraud offender does not include active jail time. 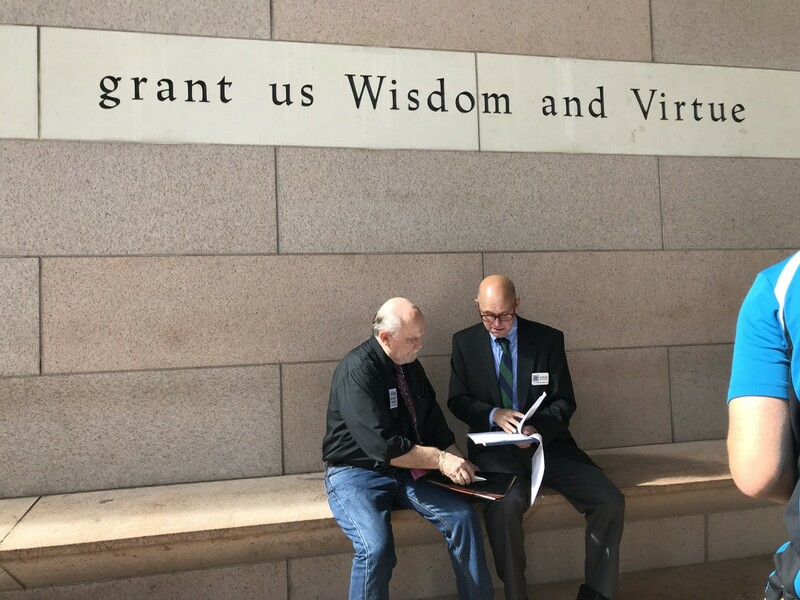 Pasco Parker, VIP’s first convicted case, received a two-year probation after voting in three states (Florida, Tennessee and North Carolina) for the 2016 general election. 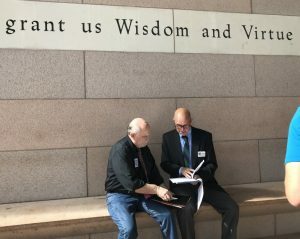 DeLancy and Bob Diamond, a Charlotte resident and former District 37 NC Senate candidate, first met with Murray on Feb. 23, 2015, after learning from state election officials that Murray had declined to prosecute one of VIP’s criminal referrals. After the meeting, Diamond decided to pursue this action. He is listed as the plaintiff in today’s court filing, which identified the alleged perpetrators as Jenell R. Jenkins (registered as a Democrat) and Sammy K. Nichols (registered as a Republican), both of Mecklenburg County. See Murray-Fleming email that confirms NCSBE criminal referrals to Mecklenburg DA Andrew Murray. These two cases were for interstate double voting, but Murray declined to prosecute either case. UPDATE TO STORY: DA Murray excuses double voters after they claimed ignorance of the law they broke (by voting in two states). Would a jury have excused them too? We will never know, since Murray refused to try cases. See Charlotte-Observer story by clicking here.